It’s very easy to inadvertently move out of one lane into another when a distraction causes the driver not to notice when the road has curved, or inattentive driving lets the vehicle drift. In fact, some of the most horrific accidents result from head-on collisions when a vehicle drifts into an opposite lane. Lane Departure Warning Systems (LWDS) alert drivers when the vehicle is drifting. Forward-facing cameras allow the system to see the lane markers while taking other factors into account, such as the vehicle speed and if the turn signal is applied. 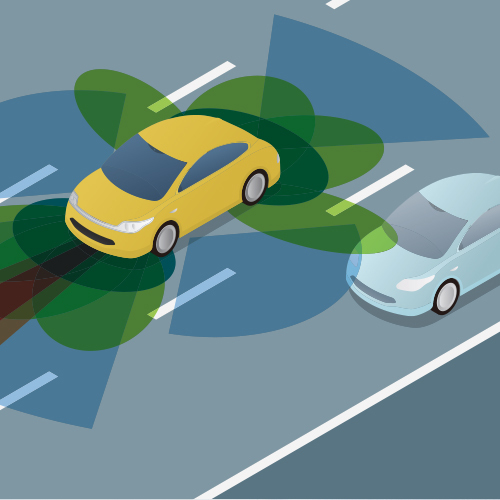 If the system determines that the vehicle is inadvertently moving into the next lane, it provides an audible or visual notification to the driver. Lane Keeping Systems go one step further by automatically nudging the vehicle back into the proper lane. Did you know? A lane departure warning system can be added to your existing vehicle. For more information, contact your Vision Zero Automotive Network Preferred Retailer.